With over 2.5 billion social media users in the world today it’s important to stay ahead of trends that can take make your business soar to new heights. Time is of the essence when organizing your marketing strategy for the upcoming season, therefore it is imperative to ensure that you are focused on areas that are booming and will be taking the spot light on social media this year. 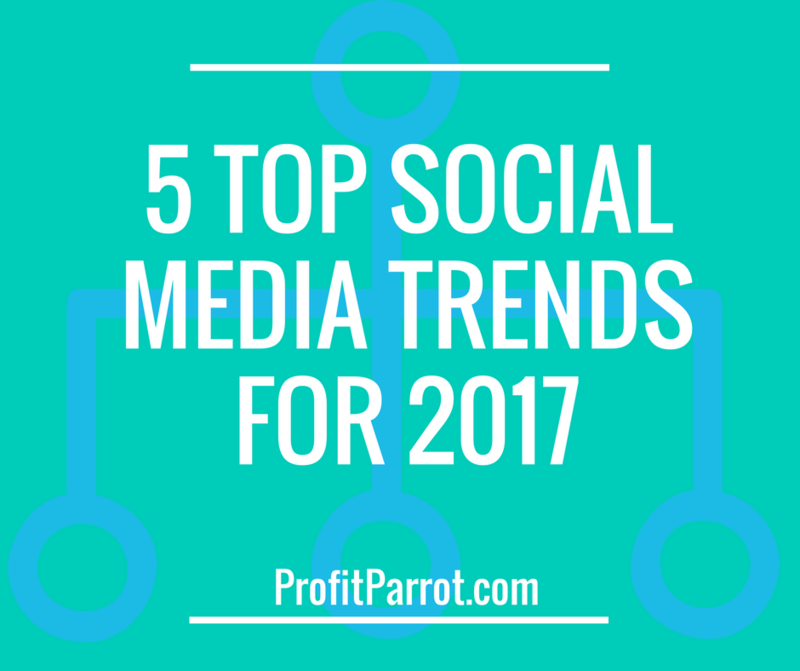 Profit Parrot has taken the guess work out of the upcoming trends and compiled a list to get you started on strategically improving your business through social media. Companies shouldn’t be putting all their chips in one bowl and trying to get the most ranked content, but rather to try and get the best quality content they can to ensure consistent traffic. Live Video is The Tops! Live video feeds are taking the internet by storm. Between Facebook’s live video chat, Instagram and Snap Chat’s short clips and Periscope’s streaming service, it’s obvious that video is becoming the best way to get your content out there. For businesses, hosting a question and answer segment about your product will seriously improve the amount of trust that customers have in you. Sharing your events live is also a great way to involve your potential target market while not having them in the same area. Another point to consider is that Snapchat has a more complicated user interface in terms of finding people you are wanting to follow and therefore, with the introduction of Instagram’s Story feature, it’s likely that Instagram might gather larger amounts of video users. It’s been reported that Instagram receives 100 Million views per day on their Story feature. Communication with customers is a vital part of any business and using messenger applications such as WhatsApp and Facebook Messenger will take the hard work out of keeping in contact with your customers. Bots for messenger is also facilitating an automated interaction with customers, so that even if you can’t be online 24/7, your customers will feel like they are still cared for through automated responses. Using these messenger services will also save on business expenses, as most of these platforms are free. Driving sales is the number one goal for each business and streamlining this process is an integral part of ensuring business growth and customer satisfaction. Many Social Media platforms are starting to test and produce ecommerce features that can assist in getting sales available web-wide! A recent survey suggests that 56% of consumers follow brands looking for sale products and another 31% use social media as a recommendation and promotion platform to find new products to invest in. It sounds surreal, but virtual reality is taking the Social Media world by storm. 360 video is fast becoming a virtual tropical storm in the world of marketing. Brands are sharing these videos to allow customers to get the ‘whole feel’ while watching their promotional videos. This is a great trend to keep an eye on for the upcoming year. Advertising is still key to any business and this is no different with Social Media. This trend has been going strong for many years and is continuing to grown day by day. With a smart phone in the hand of almost every social media user in the world, its only common sense to promote through advertisements in used applications and this shows as applications such as Facebook and Instagram have recently upped its advertisements. 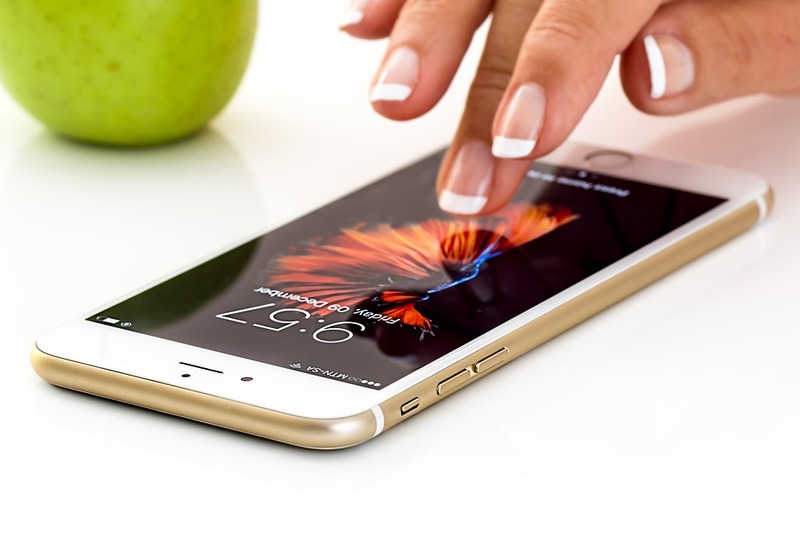 By the end of 2017, its predicted that mobile video ad-spend is to exceed $6 billion which means that this is the time for mobile marketing to capitalize. Want to stay up on the latest social media trends? Follow or FB page today!